As voters in two southwestern Minnesota school districts prepare to decide on Tuesday whether to build new schools, the Worthington and Russell-Tyler-Ruthton school districts have been contending with a man some call the "bond buster." Referendum opponents in both communities have brought in Paul Dorr, an Iowa consultant who works to defeat school referendums across the Midwest. For at least 25 years, across nine states, people have hired him to defeat their school district's bond proposals. He creates mailers, radio ads and Facebook pages telling residents to vote "no." In Worthington, schools have grown by about 100 new students every year for the last 10 years. 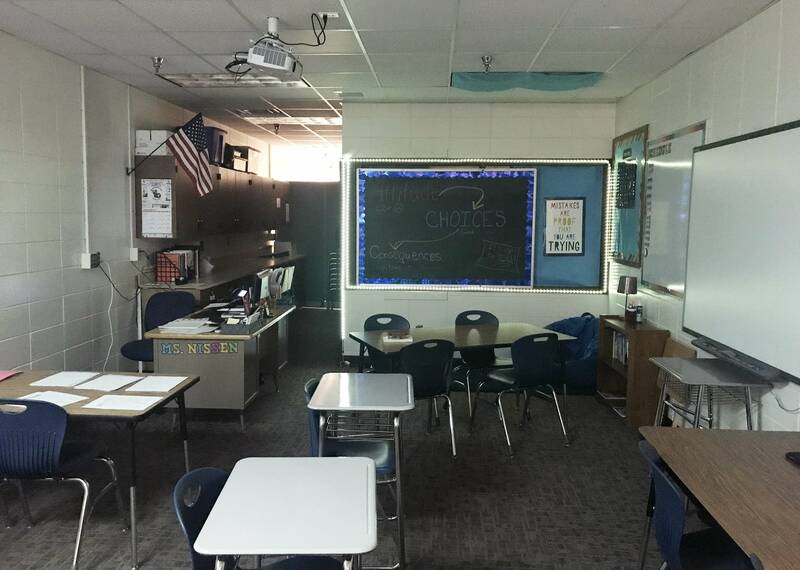 "We really don't have any more space," said Superintendent John Landgaard, pointing out a small classroom at Worthington Middle School that used to be a storage room. Tuesday's vote will be the fourth in less than three years on whether to increase property taxes to fund a new school. Approving a school bond, especially in rural communities, can be hard. Farmers end up paying a large part of the tax increase, because they own the most land. "There is no making money anymore in the land and now you're going to tax us? Take out another what we were trying to live on?" asks farmer Jolene Kuhl. "No." Dorr wouldn't talk to MPR News for this story, but has said his ultimate goal is the end of public education. "I fight these purveyors of the moral destruction of Christianity that is the government school," said Dorr in a YouTube video. "More so, I fight them as I see no Biblical warrant for them to even exist." Dorr has been involved in the defeat of the last three Worthington bond votes, which took place in November of 2016, February of 2018 and August of 2018. After one of last year's votes, people boycotted businesses that supported the school's campaign. That's not a surprise to people who have dealt with Dorr before. In Neligh, Neb., Dorr was hired to oppose a school bond in 2014. By the end of it, the superintendent quit. Dorr and the group that hired him tried to get the mayor and the City Council recalled. "It has been a long hard process to bring our community back together again," said Stephanie Wanek, who was on the City Council there at the time. According to campaign finance records, Dorr has worked to help defeat at least 26 bond votes in Minnesota and another two dozen in Iowa. In Minnesota, 77 percent of the referendums he's worked on have failed. But of those districts he's been involved with here, more than half have gone on to pass a bond once he's out of the picture. In Worthington, he's received more than $23,000 for his work on the last three bond votes. Dorr uses similar tactics wherever he goes. He starts by requesting a lot of data on everything from construction contracts to enrollment projections. He claims the school isn't painting the full picture of the tax impact, and insinuates that the superintendent and school board are deceiving the public. "Is Worthington ISD 518 school board trying to hide something from the media and voters?" asked Dorr, in a video posted to Facebook before the last Worthington vote. The mixed messaging between the information the district was putting out, and the information farmers were getting from the anti-school-bond group, the Worthington Citizens for Progress Committee, confused some. Kuhl, the farmer, said she was told by the committee that her taxes would go up by nearly $30,000 a year. In fact, she would paying a little over $1,700 more per year on land parcels worth $4.5 million, which would total more than $30,000 over the life of a 20-year bond. Committee Chair David Bosma said he never gave out that number, but believes figures like that were being tossed about in the lead-up to the earlier bond referendum votes. Just 65 miles away from Worthington, in a little farming town called Tyler, the school district is also asking for a property tax increase on Tuesday, and Dorr has been hired by a group there to defeat it. Like Worthington, the campaign against the bond began with a video on Facebook casting doubt on the school administration. They singled out Superintendent Dave Marlette. "They called me a name, I think they called me Big Cheese Marlette," said Marlette. "We're not going into the mud with those guys, we're just not gonna do it." 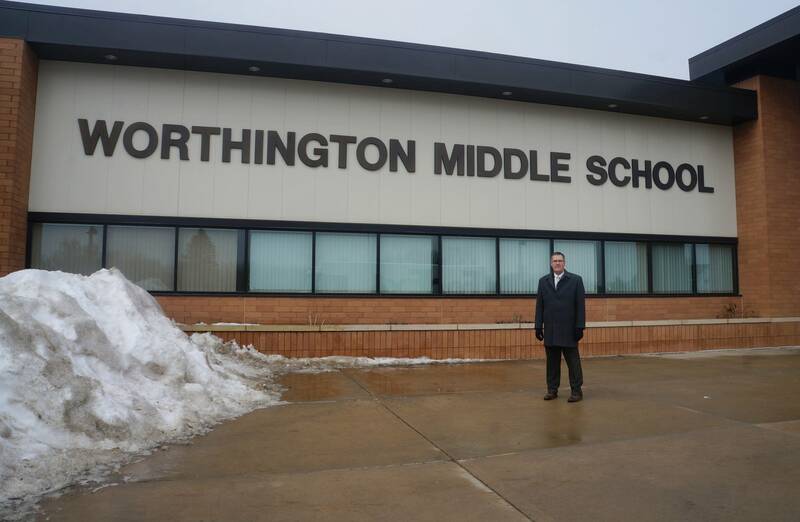 In Worthington, superintendent Langaard said if people vote no on Tuesday, district leaders will pursue a fifth vote, or build what they can without asking voters. 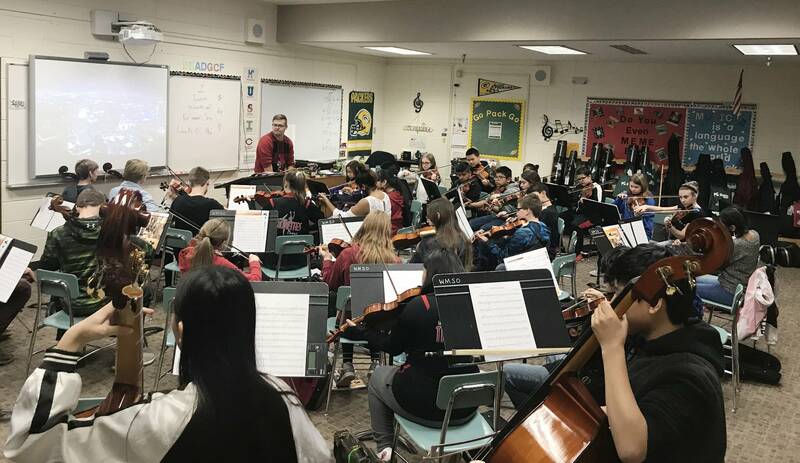 Correction (2/12/2018): An earlier version of a photo caption incorrectly identified the orchestra at Worthington Middle School.